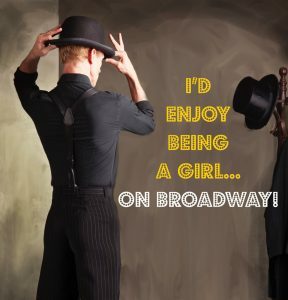 I’D ENJOY BEING A GIRL … ON BROADWAY! The Colony Theatre in Burbank has announced a four-performance run of I’d Enjoy Being a Girl … On Broadway! from September 14–17. Starring Mark C. Reis, the show is directed by Michele Lynch and features choreography by Lisa Mandel and musical direction by Scott Harlan. Humorous, uplifting, and inspiring, I’d Enjoy Being a Girl … On Broadway! brings writer, performer, and dancer Mark C. Reis to the Colony with his solo show. Through an abundance of music and dance, the Broadway veteran explores how to continue surviving in his career and ponders how different his success in musical theatre might have been had he been a girl. 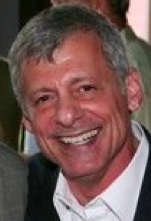 Mark C. Reis has worked from summer stock to Broadway with National Tours, European Tours, Radio City Music Hall, and Regional work in between. His many stage credits include productions of Fosse (Broadway), Jesus Christ Superstar, 42nd Street, Funny Girl, Paint Your Wagon (Goodspeed Musicals), Red, Hot and Blue (Paper Mill Playhouse), The Wizard of Oz (Tuacahn Amphitheatre), Elf (TUTS), Cabaret (Reprise), Chicago (several different productions and at the Hollywood Bowl), The Producers and The Wedding Singer (Musical Theatre West). Most recently Reis was seen in Mary Poppins at MTW and Spamalot with 3D Theatricals. He currently appears in the live Frozen show at Disneyland. The running schedule for I’d Enjoy Being a Girl … On Broadway! is Thursday 9/14 at 8pm, Friday 9/15 at 8pm, Saturday 9/16 at 8pm, and Sunday 9/17 at 3pm. Admission is $35 and tickets may be purchased online at www.colonytheatre.org or by phone at (866) 811-4111. The Colony Theatre is located at 555 N. Third Street (between Cyprus and Magnolia) in Burbank, 91502. Ample free onsite parking is available.